One of the very first subjects we learn in medical school is Anatomy. Now from my experience, this subject is definitely either a hit or miss for most people. They either love it or hate it, have a knack for it, or don’t. Luckily for me, I always liked anatomy. From my days in nursing school, I always found it so interesting and easy enough to get down pat. My professor for Anatomy&Physiology 1 in my first year of nursing school liked to teach so in depth about the subject that he even touched the whole linguistic aspect of every part of the body. And it was in the fact that I didn’t find that annoying (as my other classmates did) that I found out I really really enjoyed the subject. He wouldn’t just tell us the names of each part, show us where it was and leave it at that. He taught us the roots of the words and what language they were based in and why is was named so. He was also huge on spelling and pronunciation. I found all of that infinitely interesting. I looked forward to both lectures and practicals. And although I don’t know everything there is to possibly know about anatomy (you forget after a while, and all of it is not relevant to clinical practice), I feel as though I have a very good understanding of the subject. And it’s just as well, because as you move further into medical school/practice, you will find that a strong foundation built on those first core subjects is key to excelling or even just passing future subjects. For those of you who are studying anatomy for any reason, but don’t find that it comes very easily. I have decided to write this post to help you get further in your anatomy course. It’s going to be short and to the point so you can get back to studying and make those A’s! It’s a good idea to decide to have an open mind and be ready to adjust because let’s be honest. it’s going to need some work, and you have to be ready to put it in. This is not a simple subject, even for those who are good with memorizing things. A common misconception is that studying anatomy just requires memorization, but that’s not really the case. A lot of it is memorization. But, if you leave it at that, you might remember it for the test, and never remember it again. This is not the goal in medical school. We are lifelong learners and it does us no good to remember things only for a test. You need it for the test. You need it for the end of the semester for your final. But you also need to remember it for physical diagnosis a few semesters down the road and basically every subject you study afterward for anything to make any good sense. It’s a good idea to get a thorough understanding now when you can devote the time to it. It won’t do you any favors to be trying to understand anatomy when you are in your surgery rotation and your preceptor asks you an anatomy question. Of course in the future, you still won’t know everything. You might not have the answer to every question. But, the goal is to know as much as you can and not only know, but understand. So hopefully these tips can help you to do well in anatomy if you find it hard, or even take you to the next level if you’re doing alright. There is always room for improvement. Tools. You should try and have a couple of types of textbooks for anatomy. One is more important (in my opinion) than the other, but I used both the last time I took anatomy. A textbook of anatomy, and an atlas (this has diagrams, drawings and photos, hardly any paragraphs at all). To me, the atlas was much more useful because the important parts of textbook were presented in lecture and I could read them over and over. The atlas was used a lot more for me because I didn’t always have time to visit the lab outside of the designated time that we were assigned. With anatomy, seeing it for yourself is SO important. 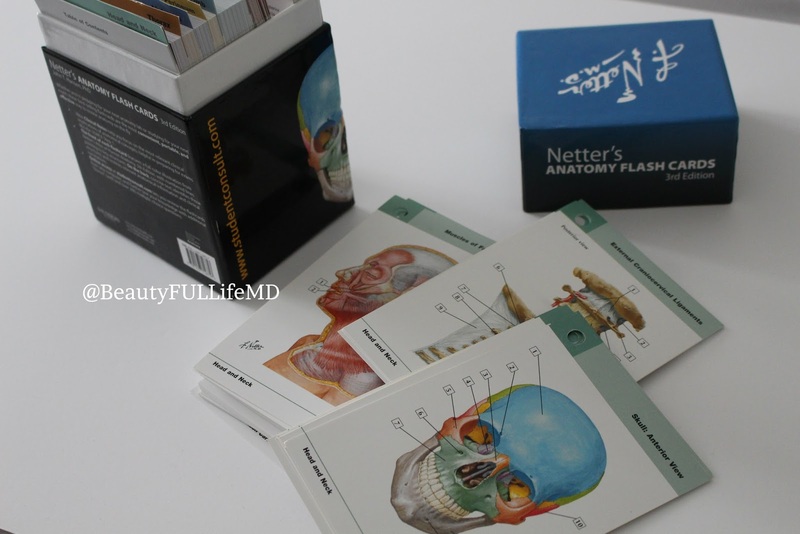 I didn’t actually have the atlas in book form, I borrowed from friends and the library, but I did buy the flashcards for anatomy which are a great tool to quiz yourself. You can read all you want, but a picture (or in this case a cadaver/replica/drawing) is worth way more than a thousand words. Which brings me to my next tip. Draw yourself a little picture. Maybe I found this useful because I’m a mostly a visual learner. But I think pictures help most people even if that’s not their best way to learn. My anatomy teacher in medical school drew amazing pictures for his classes. Amazing pictures with amazingly clever correlations to regular life and little mnemonics, etc. Everyone is not that fortunate to have a teacher who does this for you, but if you’re not, please believe that you don’t have to have stellar art skills to make your own drawings. No matter how it looks, if you draw it (like if you write your own notes) you will remember it. And if you do have a great teacher that gives you custom drawings, it still doesn’t hurt to make your own as well. Make some connections. This is where your textbook comes in handy. Clinical correlations make it easier to remember some aspects of anatomy. A lot of books do this for you and point them out. 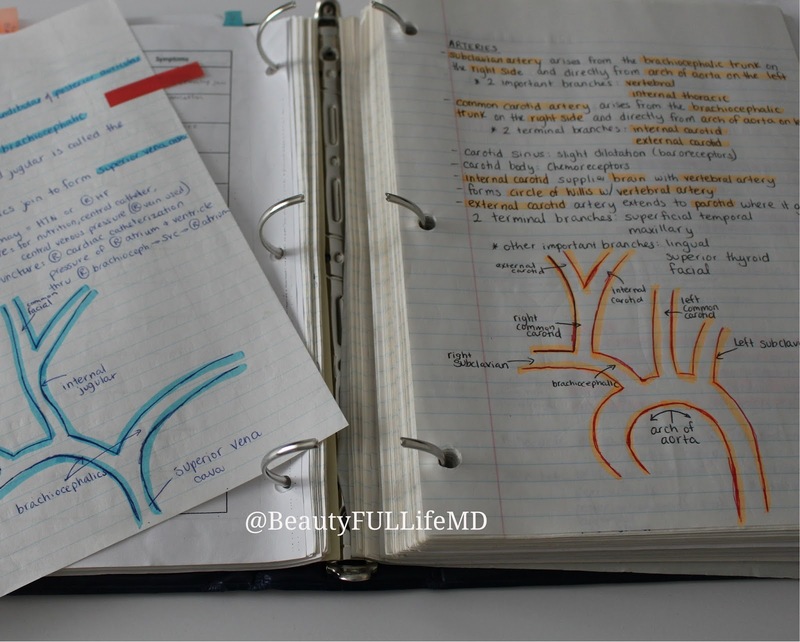 This does double duty as you learn the anatomy and the physiology/patholgy, etc. Anatomy (or a form of it) is in every subject, so use that to your advantage and make those connections. Use your book sometimes for gems that may not be in lecture. Take your own notes. Before, during and after. My holy trinity of note making. Before learning a topic in lecture, amending, highlighting and annotating during the lecture on the topic, and the review immediately after learning the topic. This is a winning formula, and it works every time. It’s work, but it works. GO TO CLASS. I mean. No one is perfect. But try to be in this aspect. No matter how early or late it is. Go. Anatomy is a HUGE subject and it’s not all relevant for exams. Going to lecture helps you wade through the extra stuff and gets you to the nitty gritty. Repetition. Review, review, review. Do it once, do it again. Recite it until you can say it mindlessly. Remember, I did say it’s a lot of memorization. Try saying things out loud. It makes it more concrete and more likely that you’ll remember it when you hear your own voice telling you. Continuously review it. It will make short work of exam prep in the future. Go interactive. 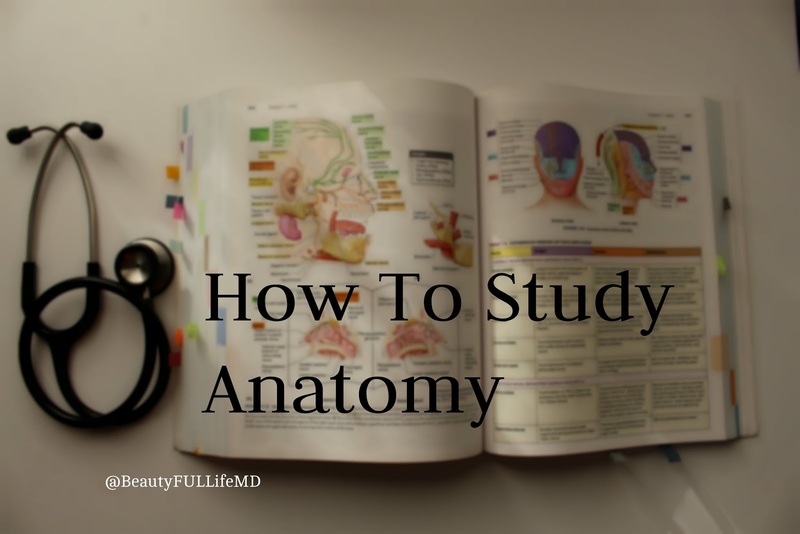 There are tons of online programs, website and videos that are designed to help you with studying anatomy. Take advantage of them! Especially those that quiz you, let you click to learn and show you animations. Seeing is believing (and knowing). Google is yours for exploring. Use it.